Supervisor of Elections, Mohammed Saneem is encouraging registered voters to come out and exercise their constitutional right. Saneem is also reminding voters that it is important to follow all the rules while at polling stations to avoid being penalized. He adds registered voters must do a final check and come prepared before heading down to their respective polling venues to avoid any disappointment tomorrow. 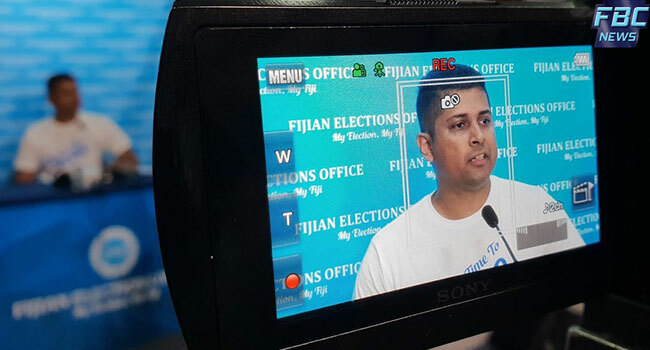 Saneem is also reminding Fijians that the rules that were in place during the forty-eight hour black out period still applies until the close of poll at 6pm. The FEO is reminding voters to take their voter identification card, an umbrella and a water bottle to their respective polling station. Five hundred and fifty thousand Fijians have registered to vote. Polling venues will open at 7.30 tomorrow morning.